Dubbed as The City of Fun and Adventure, Legazpi City, Philippines truly lives up to its moniker. This city is best known for being the home of the 20-million year old volcano, none other than Mount Mayon. Famous for its perfect cone shape, and the fact that this is also the country’s most active volcano. The volcano itself is enshrouded by a captivating legend and history, and in the modern times, it offers lots of wild adventures to try. While you are here, you can explore its base with hiking, ATV tours, photography, and more. As you capture the stunning views, you will also get to learn the active history of the volcano’s eruptions. Some of which even desecrated entire villages, and wiped out populations. Named after the Spanish conquistador Miguel Lopez de Legazpi. 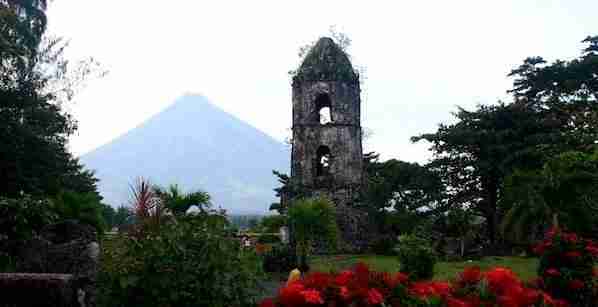 Legazpi City itself boasts of rich and interesting culture and history. If it is not yet part of your Philippines travel bucket list, it will surely be included after discovering some of the best things to do in Legazpi and activities to try in Legazpi. The moment you set foot in Legazpi city, you will see Mount Mayon anywhere you go that you will eventually get so curious you would want to get a bit closer to it. Some of your choices include hiking along the volcano’s base, taking an ATV tour. Or going on a jeepney tour which will take you to the observatory for a more up close and personal experience. There are lots of ways for you to witness and get the most out of this insanely beautiful natural wonder. Since this is an active volcano, don’t be surprised if you see a puff of smoke coming from the peak, or a tiny cloud of smoke that hangs just above it. Mount Mayon is truly an idyllic sight that it looks like a real life painting. The base of the volcano is also dotted with rice fields, flat plains, rivers, and creeks that are all waiting to be explored. 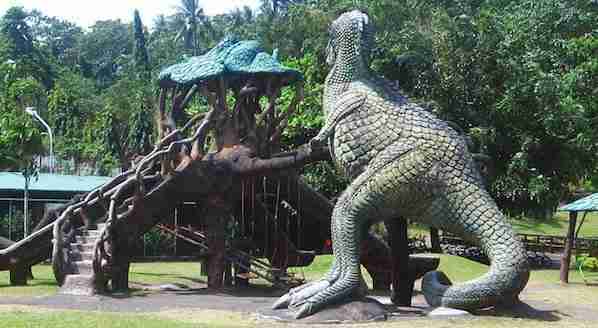 This is definitely on anyones list of things to do in Legazpi. This place will give you more stunning views of Mayon Volcano across the glistening lake, which reflects the sunset during night-time, yet there’s more you can enjoy. You may indulge some great foods at the different cafe’s and restaurants around the boulevard. You may also join in athletic events in this city. Established in 1587, then destroyed in 1646. Before it is reconstructed way back in 1724 then destroyed once again in 1814 together with thousands of local residents, the Franciscan Church definitely has many years of interesting stories to tell. On a sunny and clear day, you will see Mount Mayon sitting perfectly right behind Cagsawa ruins, with only bright green rice fields separating them. The ruins of the church are similar to what make real good mysterious thriller films. There is this one of a kind connection between the church’s crumbling bricks and the rogue greenery that grows out of the cracks. With a serene natural background that makes everything feel wholesome and pure. This unexpected discovery will surely get your mind blown away, and your imagination working in full blast. You may take photos here in a style of the Leaning Tower of Pisa, or you can simply gawk at the beauty surrounding this ancient destination. As you might know, the country of Philippines were caught up in World War II with the invasion of Japanese. This should definitely be on your list of things to do in Legazpi especially if you are a war buff. This left its mark in the country in various ways and this includes leftover infrastructure. 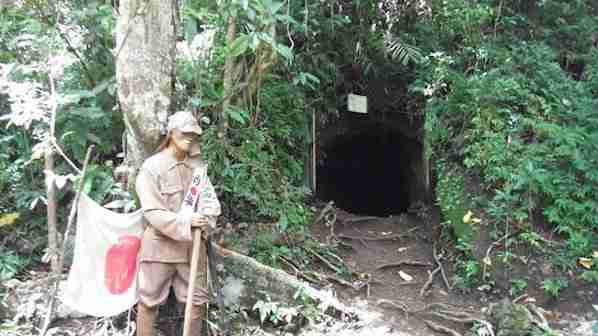 In Legazpi, you can have a chance to visit a Japanese tunnel from year 1941. Long time ago, the tunnel stretched to the city hall. Nowadays, the tunnel is not quite as long yet still provides a decent amount of space where you can crawl while your heartbeat races like crazy. You can also climb through the tunnel where height ranges from three to four feet tall. It is a 156m high hill in the city of Legazpi, where you will find only the most spontaneous, carefree, and brave souls prepared to take on several adventures. You can enjoy your day by jumping on a 320m long zipline where you can soar down the mountain with the view of Mayon Volcano on your left side and on far below, you’ll enjoy the green grassy plains. At the top of Lignon Hill Nature Park, it gives you a breathtaking view of the valley and an ideal place to watch sunrise and sunset. You may hike this hill for several minutes, but if you don’t want a challenge, you can just ride a car to reach the top of the hill. It has everything that a couple, solo traveler or family would need to have the most unforgettable day. With over three hundred animals that belong to seventy-five various species, there’s a lot to see in this place. You will find crocodiles, pigs, deer, pythons, Philippine Hawk Eagle, and much more. An interesting feature in Albay Park and Wildlife is its museum of several unique embalmed animals like a Megamouth Shark and 2-headed baby Carabao. You may rent a bike to roam around and you can also take a boat on the lagoon. Once you visit Legazpi City, you should not miss eating at a Filipino restaurant that’s known as Colonial Grill. It offers foods in mid-range prices, has lots of space for groups and their foods keep them standing as the local favourite. The best sellers of this restaurant will not disappoint you and some of these include Tinapa Rice, Spicy Shrimp, and Buko Chopseuy. Portions can be suited for any size of family. And the last thing that you don’t want to miss in this restaurant is the popular Sili Ice Cream. Which is actually made with chilies.This ice cream has some levels, which may range from spicy to spiciest. Legazpi has loads of guest houses, hostels, and hotels. 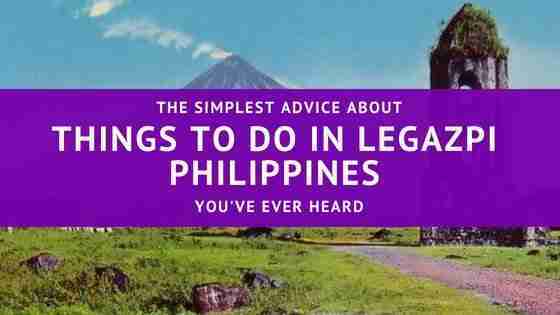 Here are a few places to check out if you are planning to visit Legazpi Philippines. Featuring free WiFi, Casa Roces Bed and Breakfast is set in Legazpi, 10 km from Mayon Volcano. Complimentary airport pick-up and drop-off service is available upon request. Each room at this bed and breakfast is air-conditioned and features a flat-screen TV. Rooms include a private bathroom. A home away from home in beautiful Legazpi, Balay de la Rama Bed & Breakfast offers 6 bedrooms just a 10-minute drive from the iconic Mount Mayon and Cagsawa Ruins. Situated within a 15-minute drive from Legazpi Airport, it also features free WiFi access. The air-conditioned rooms are equipped with an en suite bathroom and free toiletries. Two of the rooms have a private balcony offering views of Mount Mayon, while another two rooms provide access to the lobby. Fj Manila Hotel is located in Daraga and is Legazpi is 3 km from the hotel. Rooms boast a flat-screen TV with cable channels and a private bathroom. The accommodation offers a 24-hour front desk as well as free WiFi. Finally, once you visit Legazpi, you will have plenty of options to visit, explore, discover and things to do in Legazpi. All you have to do is to choose the activities you prefer and start enjoying what the island of Legazpi has to offer. And that’s it for now! 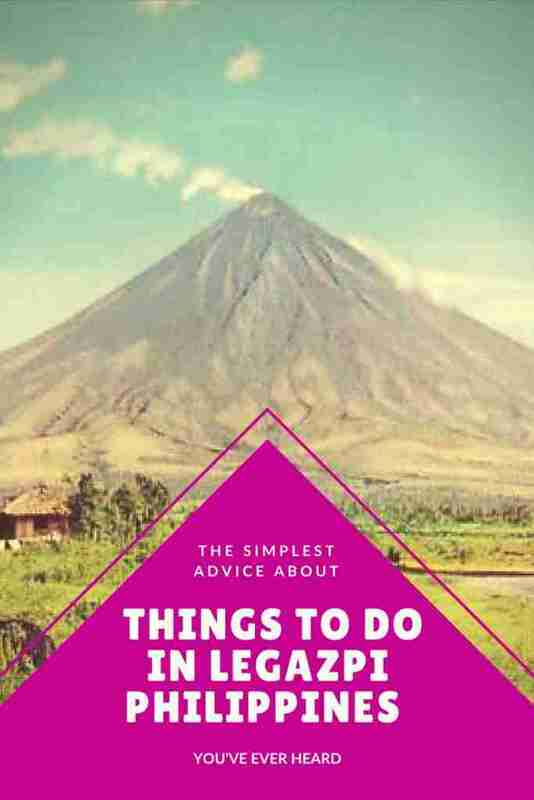 I’d love to know if this guide on the things to do in Legazpi has helped you. Let me know if you have any questions and let me know if you go too.